World Water Monitoring Day, the day intends to raise awareness about water pollution and public’s involvement in protecting water resources around the world by to carry out essential monitoring of their local water bodies. Water is a complete essential of human life, and every form depends on it. But water is a universal solvent, gathering all the elements of its environment, and carrying it directly into our homes and bodies. So it’s important to preserve and monitor water for the future. WHEN IS WORLD WATER MONITORING DAY? 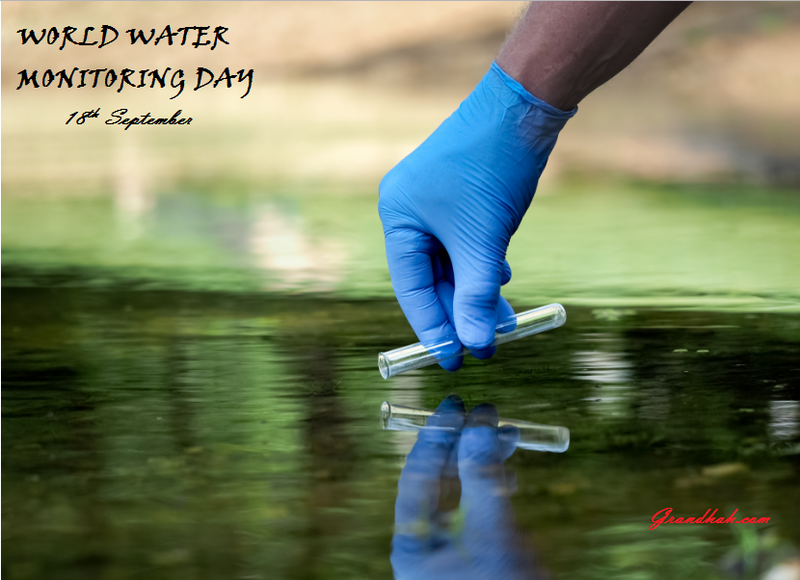 World Water Monitoring Day was first celebrated on September 18, 2003. At first it was chosen to be a month later (October 18) to recognize the anniversary of the US Clean Water Act, which was enacted by the US Congress in 1972 to renovate and protect the country’s water resources. In 2007, the date was changed to assist participation in parts of the world where temperatures reach freezing at that time.